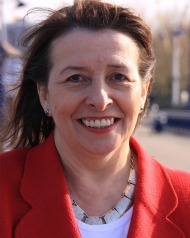 Teresa stood up for the poorest consumers in Erith and Thamesmead by voting for a motion urging the Government to introduce caps on the amount that payday and doorstep lenders such as Wonga.com and Oakam charge for credit. In a speech in the House of Commons, Teresa called on the Government to step up and regulate the market for high-costs loans, to protect vulnerable people who are often targeted by companies charging up to 4,200% APR. “The recession means that mainstream banks are not lending, everyday costs are rising, wages are being pushed down and the ranks of the unemployed are growing. Increasingly payday and home credit lenders are becoming the only option for people who are struggling to make ends meet, but that option comes at a terrible price – a price that many people may be paying year after year after year. “When I was 21 my three-year-old daughter and I spent our first Christmas in decent housing after three years living in a slum dwelling … I wanted to buy a Christmas tree and some decorations, which would have cost about £10. It may as well have been £100 because I did not have £10. “I have to ask myself this: if a door-to-door lender had offered me a £10 loan, would I have taken it? I probably would. Would that £10 have involved me in years of loan payback? It probably would. 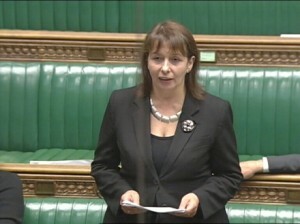 Would that have become a spiral of debt which would have meant that I would not be here (in the House of Commons) now? Yes, it probably would. Unfortunately a Conservative-led amendment was successful in watering down the motion, delaying the Government taking any action until after a consultation and asking the regulator to ‘consider’ a cap rather than introduce one immediately.